Here’s where you can download the first DirectX game I ever created – Tank Game (yes – I have no imagination for choosing a game title). 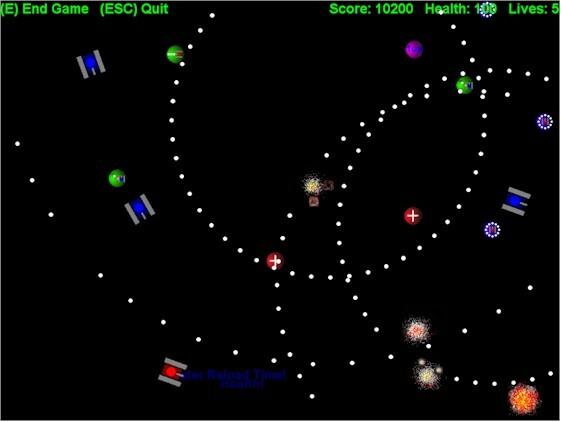 I wrote Tank Game during my Introduction to Game Programming class with Professor Kelly at Monroe County Community College. 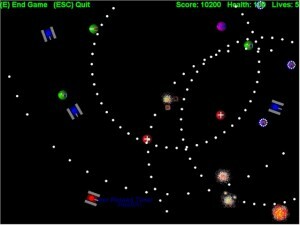 It was lots of fun to get credit for learning how to write a computer game. Since the class, I have made minor modifications to Tank Game on a few occasions. To enable cheats in the game, type UBERCHEATER really fast (once the game has started). Then, press the number keys to toggle them! Click here to download Tank Game V1.03. To run it, extract ALL of the files from the zip file to a directory somewhere. Before playing, you might want to read the instructions included in the “Description.doc” file. Once you’re ready, run TankGame.exe. Known bug: If the DirectX device is lost (i.e. the game is minimized), the game will no longer work correctly. If this happens to you, restore the game and press ESC to exit the game. Unfortunately, when I designed this game, I didn’t have a good understanding of the DirectX graphic device model, so I fail to check for lost devices. This bug also causes Tank Game to fail to work on some configurations with multiple monitors enabled; if you get a blank screen upon running the game, try disabling any secondary monitors and running the game again.